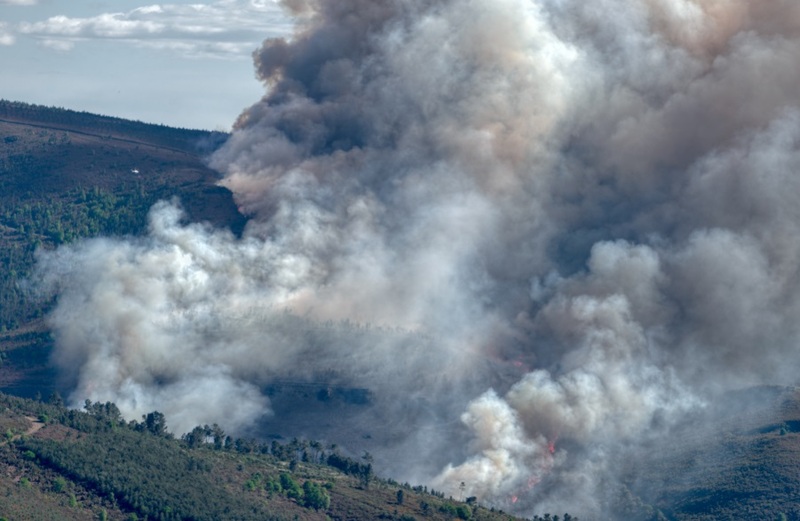 Chemical engineering researchers from Brigham Young University have developed an advanced model that can help predict pollution caused by wildfire smoke. The research, sponsored by the USDA Forest Service and the Department of Energy, provides a physical model that can more reliably predict soot and smoke emissions from wildfires over a range of conditions. Recent wildfires in the West have caused air quality to tank in a number of major western cities for several days this August, reaching orange and even red levels for long stretches. Orange days are unhealthy for sensitive groups while red-level days are considered unhealthy to all people and can result in serious health effects for children or older individuals. The BYU/Los Alamos-developed model uses detailed physics-based formulas to predict the initial formation of soot particles emitted during wildfires. Experimental measurements of smoke content can involve fairly unsophisticated procedures, such as vacuum sampling of particles as they are produced from a flame. Current wildfire prediction models are too computationally expensive to run for large-scale wildfires. The BYU/Los Alamos-produced model, which looks like something scratched out on a chalkboard in A Beautiful Mind (see image right), provides foundational elements to validate more efficient models that can be applied on supercomputers at a reasonable computational cost. Funding for the research comes more specifically from the Rocky Mountain Research Station of the Forest Service and the Department of Energy’s National Nuclear Security Administration, through the University of Utah’s Carbon Capture Multidisciplinary Simulation Center. While Lignell said there is still a gap between their research and how it directly impacts the air people are breathing, he’s personally invested in bridging that gap — not just as a chemical engineer, but as someone with asthma.